One of the wonderful things about spending time at an artist residency is being able to alternate between trying to create art and reading about other artists. It is a luxury to do so, and I am savouring it at a beautiful and peaceful retreat nestled in the foothills of the French Pyrenees, Bordeneuve, in Betchat, Ariège. I am a firm believer in the eddying delights of chance, especially when it comes to happening upon books. Once again, Lady Luck led me to a book, "Charlotte" by David Foenkinos, published last year by Gallimard and which won the 2014 Prix Renaudot and Prix Goncourt des Lycéens. 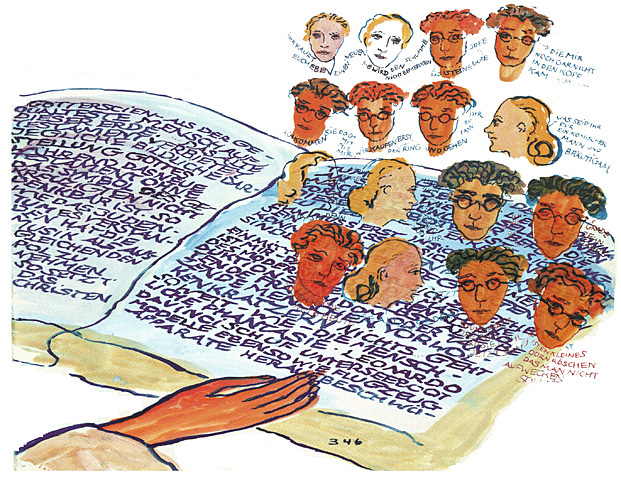 It is a fictionalised account of the life of Charlotte Salomon, the young German Jewish artist who fled to France during World War II and there was finally killed in Auschwitz in 1943. Written in verse, it is an arresting account of the intertwining of the author's fascination for this artist with the account of her young life. 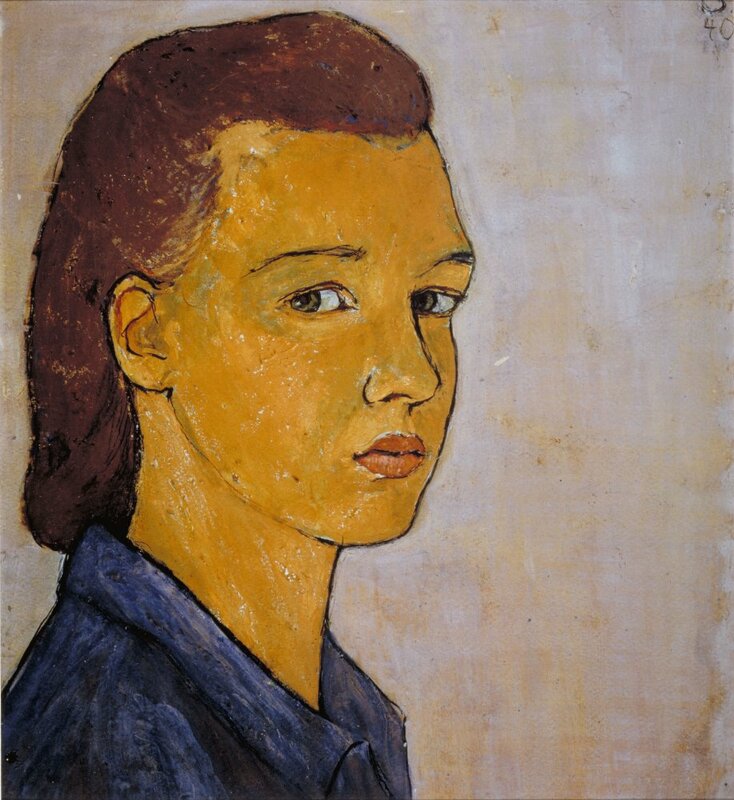 I knew of Charlotte Salomon and her haunting, passionate paintings, but this book made me go back and look more closely at images of her work. As the Nazis tightened their noose on the Jews, life - everyday, intellectual, professional and cultural - became increasingly impossible, but Charlotte's prominent physician father and diva singer step-mother refused to leave Berlin. So Charlotte eventually took refuge in art, her passion and her solace. From there, her life grew more complex, more dangerous. Once she had fled to France, leaving behind her family and a man with whom she had fallen passionately in love, she shut herself up in a hotel room in Villefranche for two years. There she created a vast body of work autobiographical in nature, almost operatic in form, with dialogue, images, commentary, musical cues, all vivid in colour and content. Pregnant and in mortal danger, she eventually entrusted her art to her physician, knowing that she only had a short time to live. She gave him a simple, stark explanation, "This is my whole life". Eventually in 1961, her work, Life? or Theatre? : A Play with Music, was exhibited for the first time. 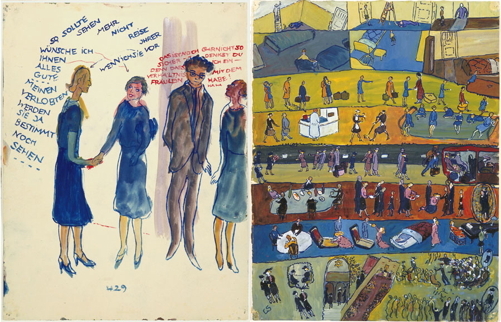 The exhibit and accompanying catalogue spread the word about her inventive, passionate art. Now there is a new surge of interest after David Foenkinos' book has been published. I am glad I have been reminded of this courageous, highly original and driven artist who only lived twenty-six years.